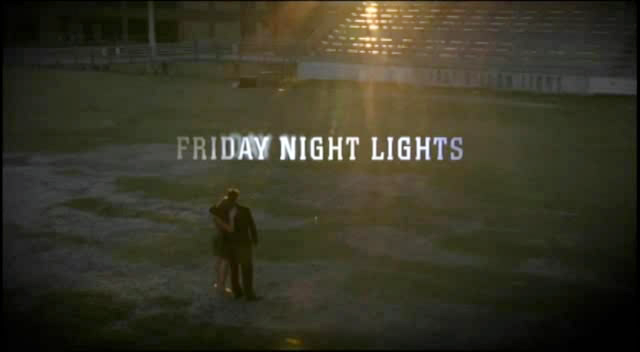 If those words don’t give you a chill or a jolt of adrenaline then somehow you missed out on the five seasons of the “teen drama”, Friday Night Lights, a television show that recreated the experience of living in the small, Texas town of Dillon, a town that lives and dies with the fortunes of its football team, the Dillon Panthers. If you never watched the show, this piece may not make much sense, and I suggest you call in sick, stock up on supplies, and get ready to binge watch all five seasons immediately. I was first offended a little when I noticed that Netflix had relegated FNL to the category of “teen drama.” I don’t watch teen dramas, I thought. Why do I like this show so much? Then it occurred to me that I had spent my entire life watching teen dramas as I stood in front of a high school classroom for 36 years. Secretly, as I watched them all unfold, I had a longing to go back and enjoy that teenaged life again. So this weekend as I finished watching the entire series for the second time, I started to imagine who I’d want to be if I could somehow insert my teenaged self into this fictional narrative. It would be great to be Matt or Luke or Vince, all of whom reach stardom at some point. But no, these are all good boys. I’ve already done the good-boy thing. 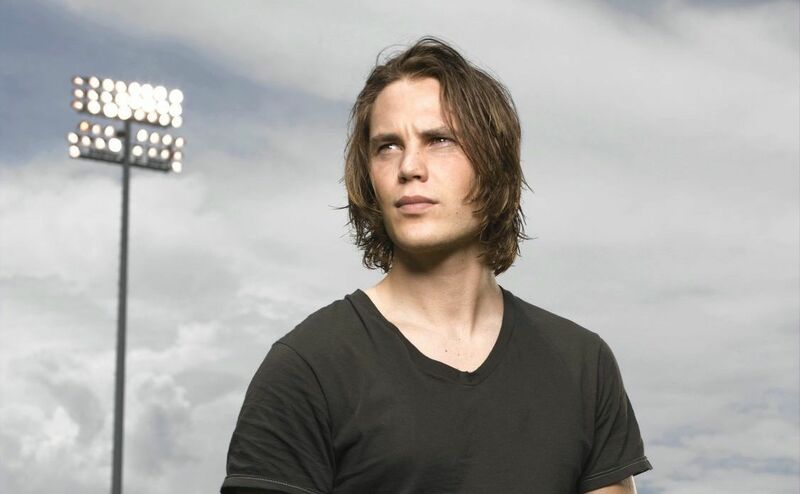 I would have only one choice, hands down—Tim Riggins. I like Tim because he keeps it simple. He wants to suit up every week, play hard, hit people, drink beer, and allow a seemingly endless string of pretty girls to pursue him. He’s a laconic, hunky, bad boy with a heart of gold. For all his lack of social graces, Tim is quietly one of the most compassionate characters on the show—you almost don’t notice this about him at first because he always seems to be apologizing for having done something wrong. But in the end, Tim just wants his girl, a patch of land, a beer, and a Texas sunset. Nothing wrong with that (except actually being in Texas). My teenaged self would have to find a girl and FNL manages to parade an array of beautiful young women through the show without it ever looking like a van full of young Victoria Secret models has descended on tiny Dillon. So there are lots of choices here; it’s no simple Ginger/Maryanne dichotomy. Julie? Too sulky and whiney. Lyla? Too bipolar. Becky or Jess? Maybe when they grow up a little. No, my teenaged self would have been entirely and hopelessly in love with Tyra Collette (Adrianne Palicki). Tyra grows from a fluffy beauty to a strong, thoughtful young woman as the show progresses. Don’t get me wrong, she also gets even more beautiful, but she veers away from spending her life working at Applebees to being a college girl with a strong sense of her future. I especially love her (and the writers) for including a sweet, but short-lived romance with likeable nerd Landry Clarke (Jesse Plemons), my actual alter-ego. As a teenager in Dillon, I know I would need emotional support. I’d need strong guidance and a kind but firm presence in my life. 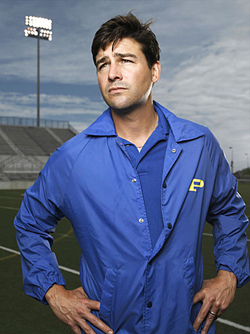 For that I’d have to look to Coach Eric Taylor (Kyle Chandler). Coach Taylor is the master of the pep talk, both to his teams and to individuals. He is the tough but caring mentor for whom a kid would do anything to please. He’s the kind of man my imaginary teenaged self would like to grow up to be.